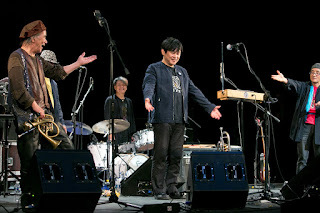 Hikashu has just returned to their homeland after the three-week foreign tour but it seems that they have no time to rest well. In this month, they have two gigs. 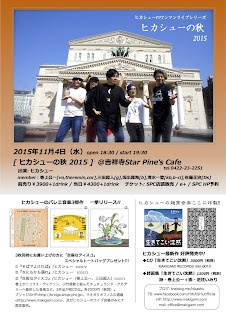 One is held at Star Pine's Cafe of Kichijoji on November 4, and the other is at LaMama of Shibuya on November 19. 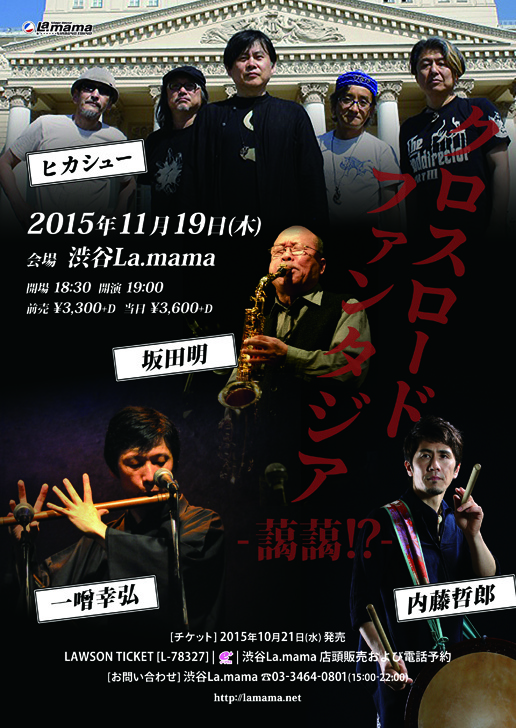 Moreover, there a tribute concert for the late Nomoto Kazuhiro, ex-member of the band - it will be covered on different entry. The Kichijoji gig is devoted only for Hikashu. Over two hours of extraordinary performance. 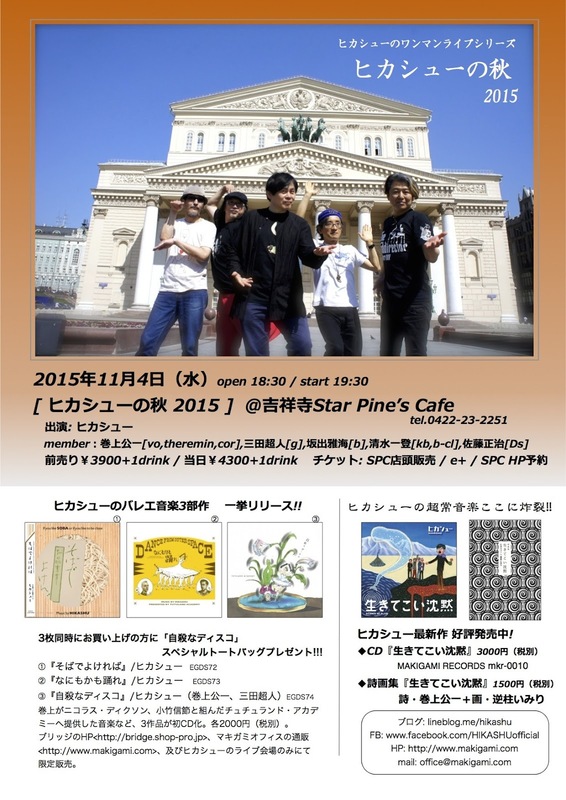 Also, this is the first gig after the oversea tour, so they must have a lot to tell, full of interesting road stories. 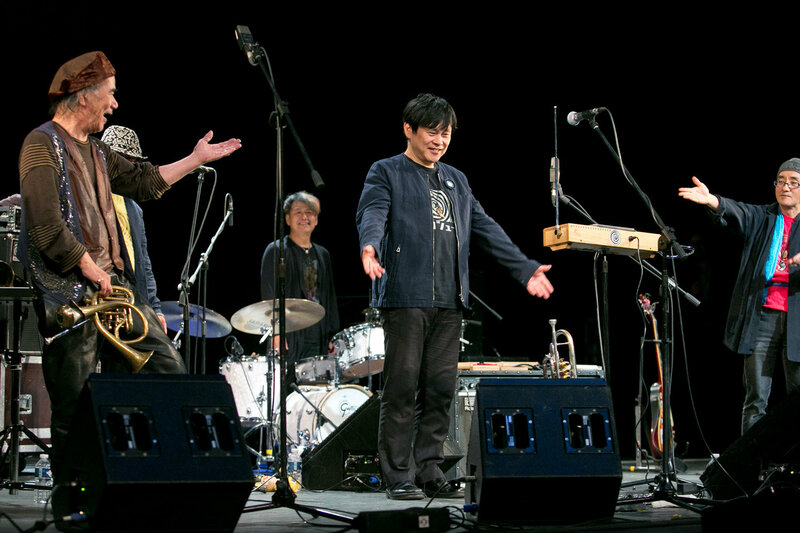 Sakata Akira, the veteran saxphone player who has been a frequent collaborator of Hikashu since 1980s, is back to play with the band at the Shibuya gig. 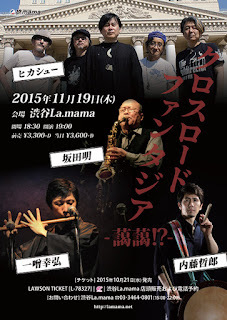 Isso Yukihiro on Noh kan (Noh flute), and Naito Tesuro on taiko will be participated as well.